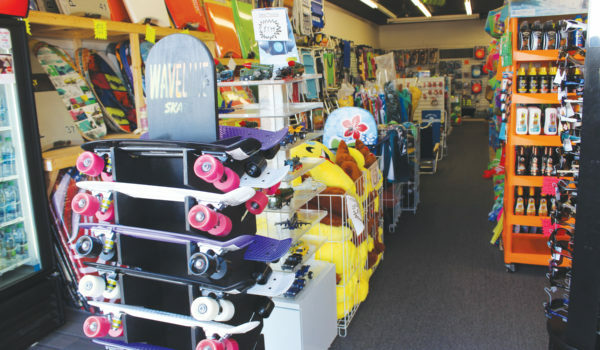 Now in its second year… Long time Boardwalk merchant Anthony Bayham keeps an Ocean City tradition going running the store where he got his start more than 20 years ago. Fisherman’s Cove takes inspiration from two old-school Ocean City establishments where Anthony got his start – Fisherman’s Wharf and Shell Cove. Anthony started on the Boardwalk at age 14 and never left. Now he brings that nostalgic feel and fun vibe back to 13th Street. Stock up on cool beach gear, from body boards to hats, flip flops, buckets, shovels, beach towels, totes, caddies, and water bottles, Fisherman’s Cove has you covered. And if it’s a gift you’re looking for, you’re in luck. Anthony carries trusted names including Ohio Wholesale and Chesapeake Bay Ltd. From the cool to cute and everything in between, Fisherman’s Cove has something for every taste. And don’t forget that most prized of Ocean City keepsakes, a hermit crab! They carry a nice selection of crabs plus all the gear you need to keep your new pet happy.